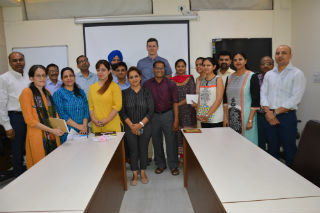 An interactive session on the topic “State of Management Education in Poland” was held with the management teachers of the institute on 8th May, 2018.The resource person on the occasion was Mr. Piotr Szykula who holds a Master’s degree in Engineering from University of Southern Denmark and an MBA degree awarded jointly by Universite du Québec ‘a Montréal and SGH Warsaw school of Economics. 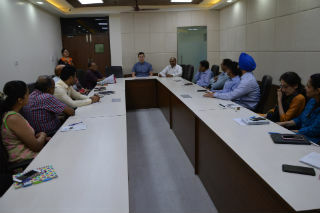 In this interactive session, Mr. Szykula and the faculty members exchanged information about the similarities and differences in various aspects of management education such as admission procedure, course curriculum, pedagogy, evaluation process and career prospects in India and Poland. 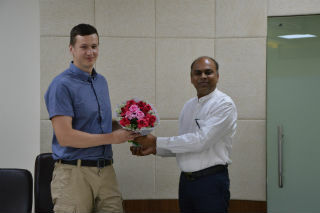 Mr. Piotr Szykula told that in Poland a large majority of students pursuing MBA program have industry experience of minimum 3 years. The duration of the program also varies from 1 to 2 years. It was a very fruitful exercise.